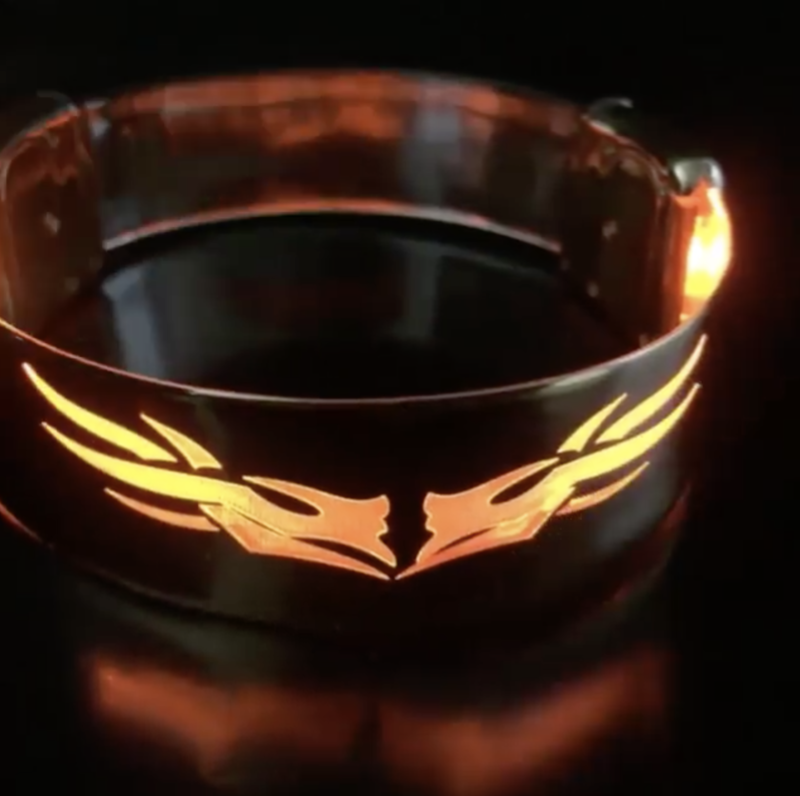 Illuminate your wrists with these striking, customizable LED bracelets. Using our onsite laser cutter, we will etch out designs in the electroplating live, freeing the glow from the LED lights embedded within. Choose from our selection of designs, and have any text you like lasered on.